You’re committed to helping your community thrive, giving students the tools for success, and rewarding those who exemplify positive values. Why should your financial institution be any different? 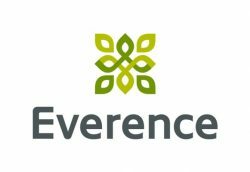 Founded in 1945, Everence is a faith-based financial services organization that provides banking, charitable giving, Medicare supplemental insurance, and financial planning services to members of the Anabaptist faith community. and a community development investing program that channels 1 percent of its mutual fund family’s assets toward providing economic opportunities in disadvantaged communities. Everence also supports communities around the globe with college scholarships, grant programs that help churches protect children, and a “Journey Award” program that recognizes role models by making a charitable donation in their name. Visit www.everence.com to learn more about Everence, its services and its commitment to the community. Mennonite Insurance Services is proud to be a partner with Everence at local events throughout the years. We are a sponsor of the upcoming night of insight, inspiration and stories of generosity hosted by Everence at Willow Avenue Mennonite Church in Fresno, CA on Sept 13, 2018. Click here for details. Error: Error validating access token: Session has expired on Tuesday, 26-Mar-19 10:04:28 PDT. The current time is Thursday, 18-Apr-19 22:44:55 PDT.